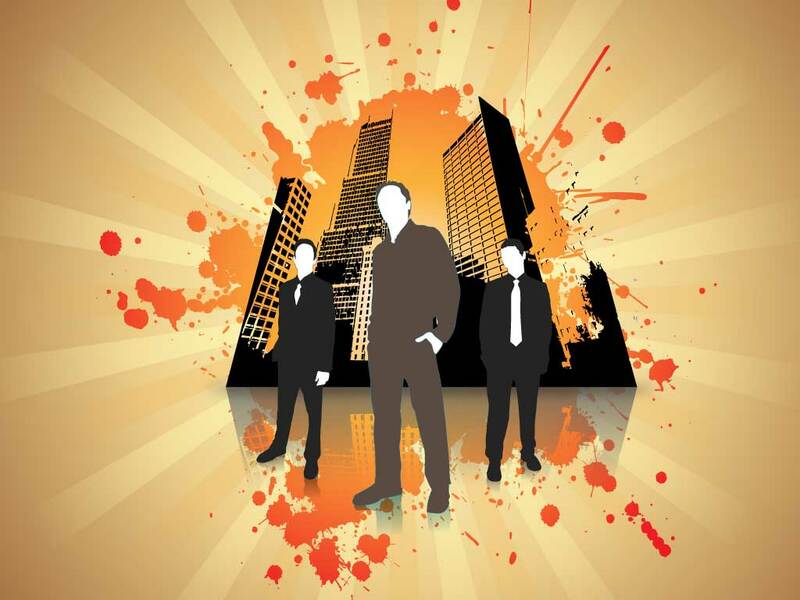 Cool businessmen vector graphics with 3 business people silhouettes and office towers. This modern business themed design is stylish and will fit perfectly into graphics for a young company with a hip attitude. Rays, paint splatters , people and buildings round off this cool design. Tags: Active, Business People, Businessmen, Economy, Finance, Hip, Management, Modern, Office, Property, Rays, Real Estate, Rental, Responsibility, Splash, Splatter, Towers, Trendy, Urban.